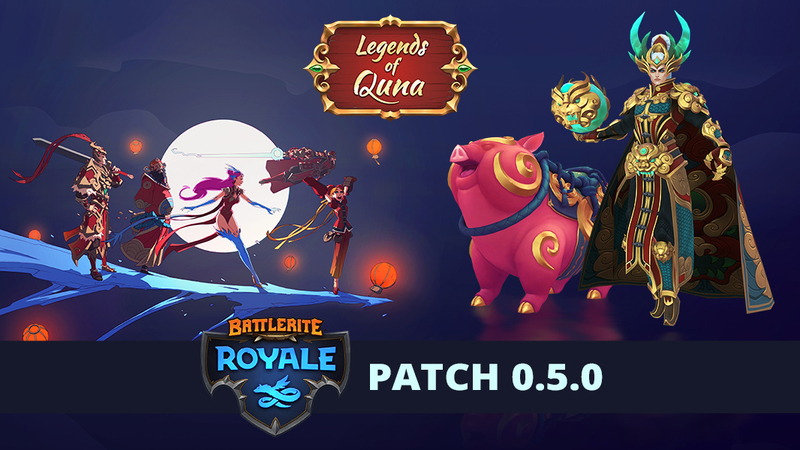 Battlerite Royale Patch 0.5 brings Legends of Quna to Talon Island. This patch is scheduled to go live on Wednesday, January 30th, at 9:00 CET. As stated in our earlier Dev Update, this is a smaller event as we prepare for the coming Big Patch™. Legends of Quna has returned! It’s time to celebrate the changing of the moons and this year’s zodiac animal – the Pig! Lunar cosmetics are once again displayed in game and are available for direct purchase with either Tokens or Diamonds. During this event Silver Chests can no longer be purchased with Battle Coins and have been replayed with Lunar Chest. Likewise, leveling up your Account Level will reward a Lunar Chest instead of a Silver Chest during the event. Lunar Chests contain three random drops and guarantee at least one rare drop and one random Lunar Item. Dragon Chests are also available for purchase with Diamonds. These contain three drops and guarantee a non-duplicate Epic or Legendary Lunar cosmetic. One new Legendary Lunar Outfit has been added to the game, along with a brand-new Legendary Mount. These are obtainable either through direct purchase or through Event chests. 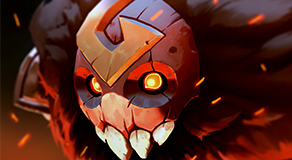 Champions that previously did not have a Lunar Weapon or Pose have now received one as well. Yuletide has come to an end, and the Winter Goblins have gone back into hiding. While you can no longer gain winter consumables by defeating these treasure-carrying critters, we’ve decided to introduce some of the more interesting event consumables into the general consumable pool – three consumables from Yuletide and one from Curse of the Night have been added. Overall, a larger pool of consumables ensures a steady mix of new situations and more wacky combinations. Gaining your full ability kit has never been easier! A short while back we added a system that ensured you would gain a non-duplicate ability after destroying enough chests – this worked out to be about 6 to 9 chests on average. We’ve made further adjustments to the inner workings of the system such that your chance to open a non-duplicate ability increases with each and every chest you destroy so that the average is closer to 5 to 6 chests. Between this change and the ability vendor that always sells all abilities, getting all your abilities is significantly more in your control. Reflected piercing projectiles can now hit targets they have previously hit. Generally this affects players caught in the middle of a fight in Royale. Traps and explosive barrels galore have made for a veritable treasure trove of clip-worthy moments. However, if these moments are too commonplace it dulls the excitement and takes away player agency. Explosive barrels become a bit less unfair by losing bonus damage from equipment and losing potency when stacked together. The two different traps now have a dramatically more noticeable visual, adding additional counterplay for the attentive player. Traps and barrel combinations retain their previous weakness towards Circlet of Resilience and Sheep Medallion. 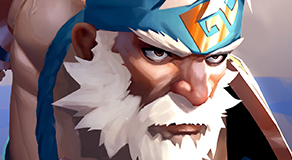 All three new Champions to Royale have made a big impact on the state of the game. 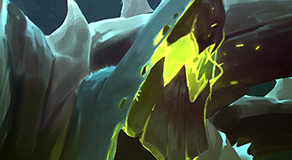 As such, each receives some nerfs to bring them closer in line to the other Champions. 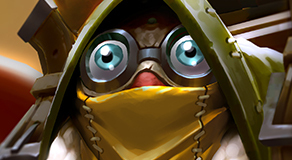 At the same time, we don’t want to overdo any nerf too drastically, as Royale has a better pacing and plays better with a higher power-level across all Champions. Lucie’s strength in extended trading scenarios and ability to use two back-to-back dodges made her a formidable competitor with few weaknesses and a small window to punish her mistakes. 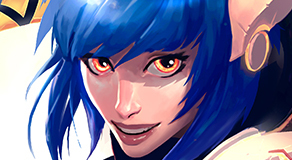 Her consistent defensive tools see an increase in cooldown to increase this timing window, and Catalyst’s Snare is nerfed to reduce its crippling impact. 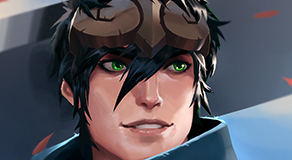 Poloma is one of the strongest contenders when playing with a partner. While she is weak until she gets her full kit, playing duos allows her to gear up safely where she reaches her full potential. 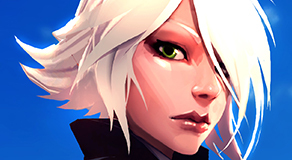 Her abilities give her a wide range of utility and disruption, all from a safe range. The psychopomp receives adjustments across the board to scale back her power. Shen Rao’s powerful ultimate is fueled by his high energy gain on Shock Blast and made crippling by the speed of his Ascension. Both are tweaked to scale back Dragon Storm from both fronts. Additionally, his area attacks are adjusted to be slightly more difficult to use.